This post is sponsored on behalf of Challenge Butter. All opinions are my own. Last Thursday, I had the pleasure of spending the day with my mom, rifling through old photo albums at her house. 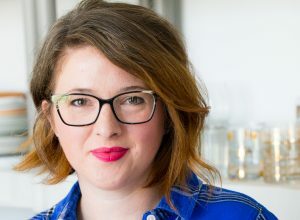 We were on the hunt for pictures of us cooking throughout the years. The photos were going to be used for a small project of mine, but the act of looking through years and years of photos brought back so many strong memories. I can hardly think of a more entertaining way to spend the day. There was more than one tease worthy photos of me, my brothers, and my sister in various stages of awkward youth. Awkward, but adorable. In the midst of our photo flipping, my mom and I chatted about our family’s food traditions and how each holiday carries it’s own stories and rituals. Of all the holidays, Thanksgiving is the most food-centric in our family. Christmas takes on different traditions of family and time spent together, with food taking a somewhat lesser role to other festivities. It’s there and more than delicious, but more of a supporting character to our celebrations. Thanksgiving, however, is all about food. It’s the time where we brush off our tried and true family favorites that only get prepared this one time of the year. Fresh cranberry relish, savory sausage filling, sweet potato soufflé, roasted garlic mashed potatoes, Brussels sprouts with bacon, my grandma’s pumpkin pie and apple crisp. These are all recipes that my family makes every year, with few variations. It’s tradition, and it’s what we love. I am happy to be partnering with Challenge Dairy over the next few months to bring you some of my family’s favorite recipes. 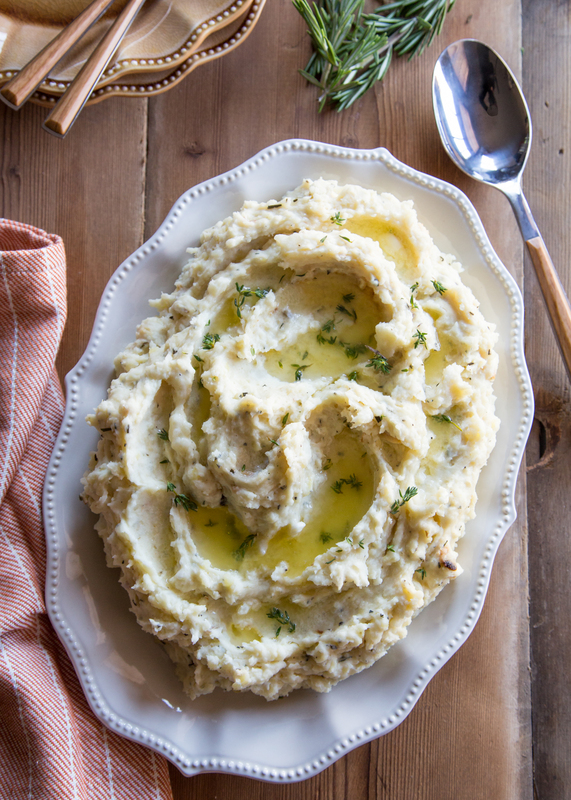 These Roasted Garlic Herb Cream Cheese Mashed Potatoes are a slight variation on the Roasted Garlic Mashed Potatoes that I have been making for years. This new version features both butter and cream cheese incredible richness and flavor. While roasting my garlic for these potatoes, I added my favorite Thanksgiving herbs: rosemary, thyme, and sage. When it comes to the level of “mashed”, I love potatoes with a bit of texture, but if you prefer a smoother potato, I recommend ricing your potatoes before stirring in the butter and cream cheese. 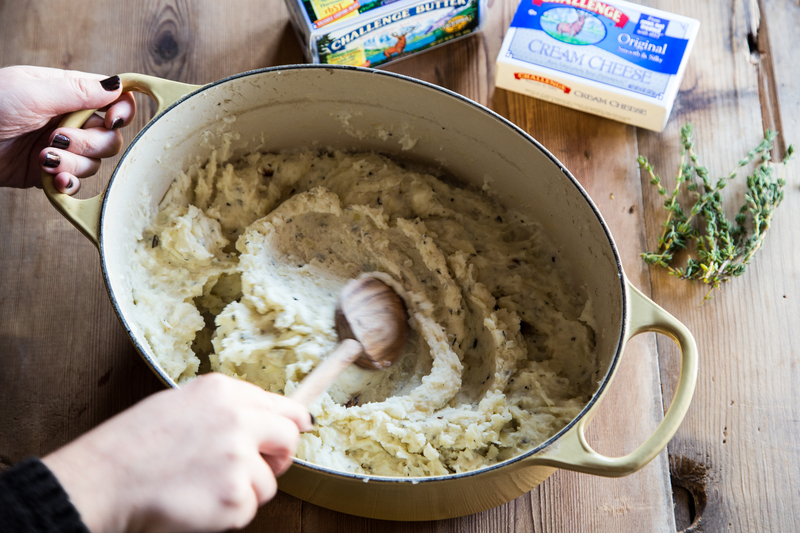 This will give you incredibly silky mashed potatoes that are perfect for scooping onto your fork with every bite of Thanksgiving food. Because Thanksgiving is centered around sharing food, Challenge Butter and UNICEF have joined forces to bring awareness to the childhood malnutrition crisis. Beginning November 15 and through December 31, 2015, Challenge will donate a meal for a child in need to the UNICEF foundation for each recipe pinned from its “Pin a Recipe, Feed a Child” Pinterest board. Challenge has committed to provide up to 75,000 meals through this campaign. With nearly half of all deaths in children under 5 being attributable to undernutrition, Challenge and UNICEF hope that in addition to being able to provide for malnourished children, this campaign will build awareness around this incredibly treatable and preventable crisis. So during your preparations for your upcoming Thanksgiving meals, please visit the “Pin a Recipe, Feed a Child” Pinterest board for a variety of delicious recipes and to help support this worthy cause. 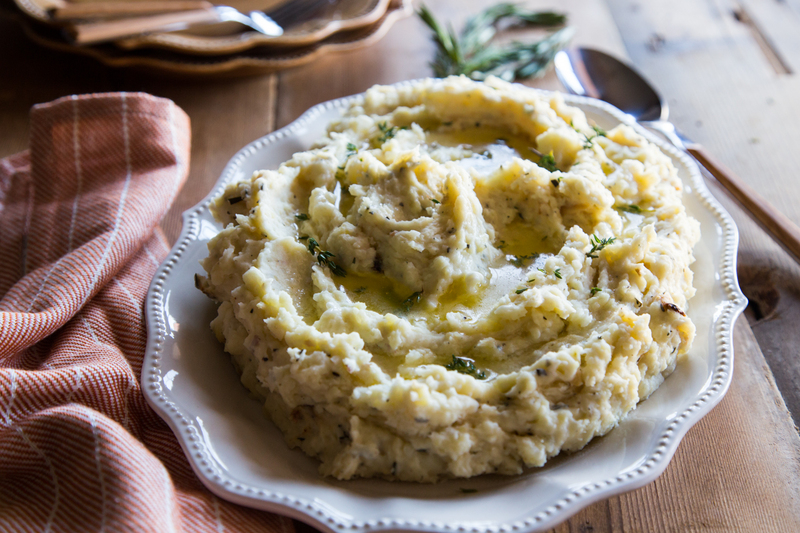 You will find my Roasted Garlic Herb Cream Cheese Mashed Potatoes as well as many other recipes that will get your Thanksgiving inspiration flowing. Preheat oven to 400°F. 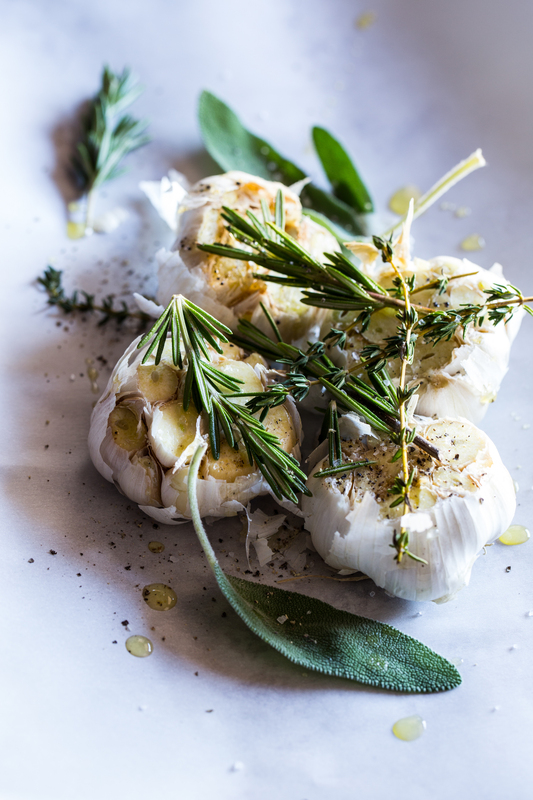 Cut tops of the garlic heads and place them cut side up on a piece of foil or parchment paper. Drizzle with olive oil and sprinkle with salt and pepper and add herbs. 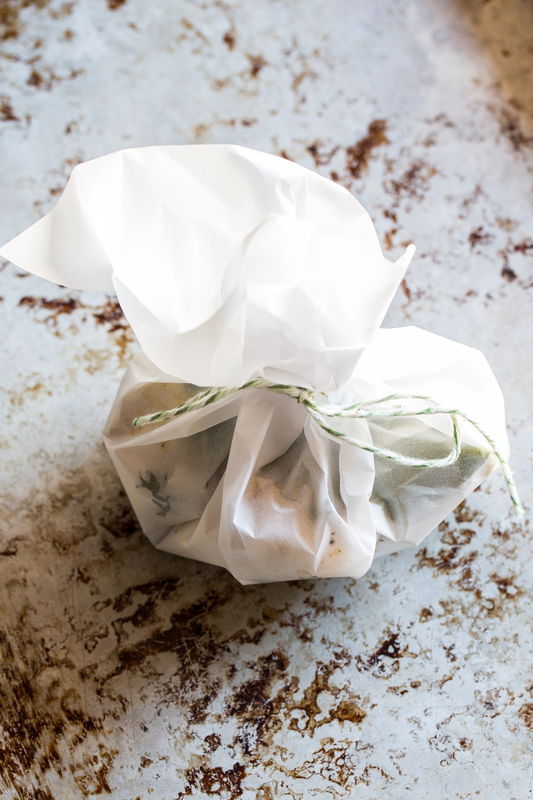 Fold up foil around garlic and herbs creating a pocket. If using parchment, tie package with kitchen twine. Place garlic bundle on a baking sheet and roast for about 1 hour or until garlic is golden and very fragrant. Allow to cool to the touch. 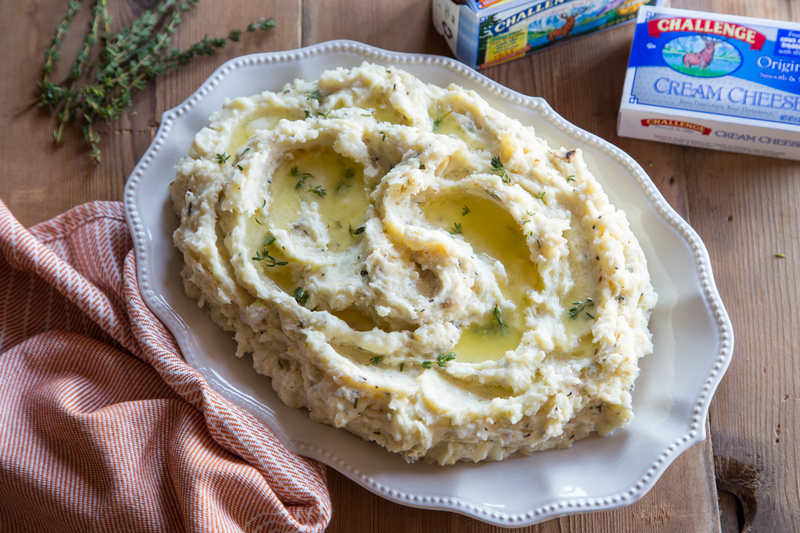 Add cream cheese, butter, herbs, salt, pepper, heavy cream, and roasted garlic to the potatoes and mash until well combined and butter and cream cheese are melted. Adjust salt and pepper to taste. Serve potatoes hot. Add additional cream if needed for texture.